I “discovered” the Burning Witches for myself several years ago. I’m the proud owner of the strictly limited Demo CD of December 2016 (100 pieces, if I remember the right one) and the also limited original edition of the self-titled debut album (2017). I think I’m also the first one who write something about the five witches from the Canton of Aargau outside their home country of Switzerland, or at least one of the first. Long before their current label discovered the band. I loved the band from the beginning. And what I said at that time (“Of these five girls is still to be expected in the future.”), Has come true. Now is with “Hexenhammer” the successor published, but with a slightly different lineup. 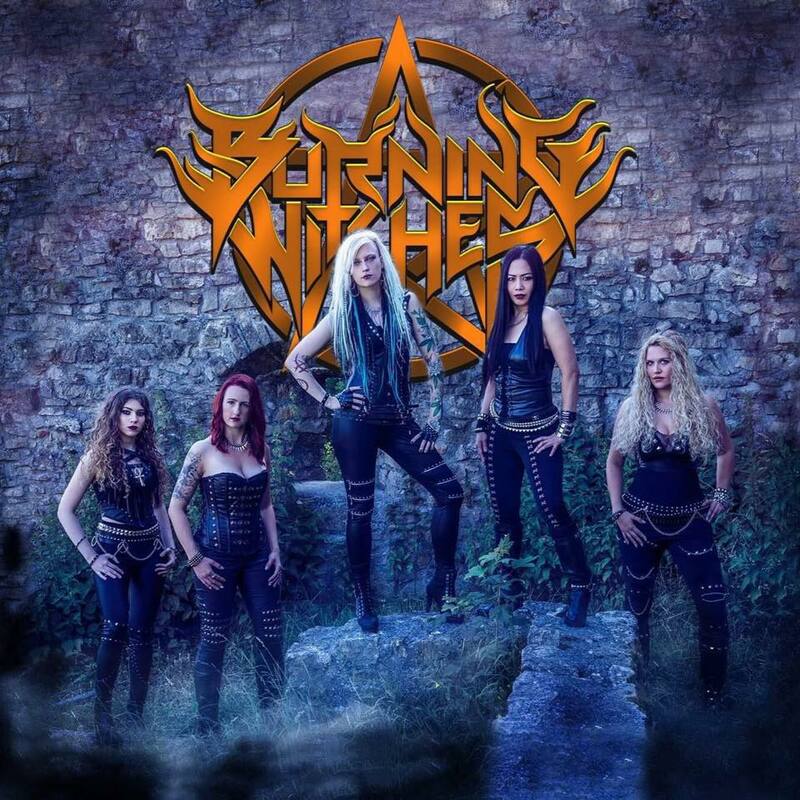 In early 2019 Burning Witches go on tour as support for Grave Digger. If the one and a half minute intro ( “The Witch Circle”) has successfully passed, you will literally overrun by “Executed”. High-speed guitars and the aggressive vocals of Seraina Telli make the heart of a metal fan beat faster. The ingenious twin-guitar solos underline this. Here you can hear five girls who have absorbed Oldschool Metal with their mother’s milk. “Lords of War” is then not so fast, but hardly less heavy. Much melodies are heard, they fit to sing-along choruses. With the power ballad “Do Not Cry My Tears”, the Swiss witches set a resting point on the album. What an amazing guitar solo! And Seraina can prove the versatility of her voice here. But she also masters the high shouts à la Rob Halford, as you can hear in “Open Your Mind” or “Maneater”. Then they sing about themselves, the “Maiden of Steel”, a song with earwig character. For me, by far the best song of the album is “Dead Ender”, pure metal in pure culture, a deep bow to the early Manowar. When listening, the Kings of Metal will be pale with envy. The title song “Hexenhammer” is a straight metal song in the style of the 70 / 80s. In “Possession” double bass attacks make for a very high speed. The woman behind the battery, Lala Frischknecht, has to do hard job. 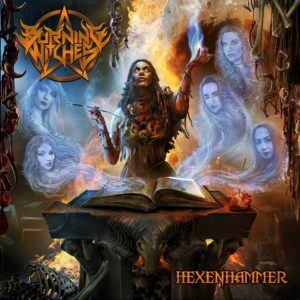 Finally, Burning Witches bow to another metal icon. The cover version of the Dio classic “Holy Diver” is one of the best I’ve ever heard. Burning Witches continue their way consistently. They play Oldschool Metal in the tradition of Judas Priest and other British Metal heroes. For the powerful production, as already at the debut, Schmier (Destruction) is responsible. The individual songs are strongly dominated by the guitars. The varied powerful singing of Seraina Telli is then the icing on the cake. A strong second album of the Swiss. Only the trivial nearly 90 seconds at the beginning provide a small point reduction.